Whether you're commuting in the rain or canyoning down a waterfall, the Wet & Dry Rucksack 35L is a fully featured waterproof backpack that will protect your gear from the elements. It's TPU-coated fabric with taped seams, and its simple roll-down seal keeps out rain, mud and spray. 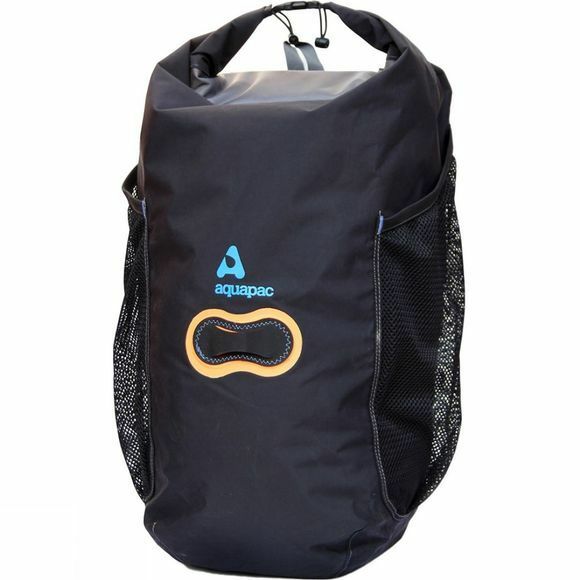 A full-size waterproof internal pocket allows you to separate your wet and dry things (or dirty and clean things) stowed safely in the same bag, while external mesh pockets keep your bottle or pump quick and easy to get to. The removable back support/seat can be taken out to dry it quickly after a soaking, or protect yourself when sitting on rough terrain.